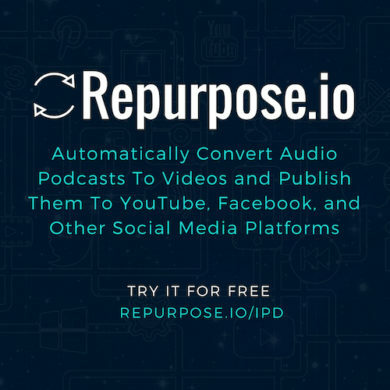 Repurpose.io automatically converts your audio podcast into engaging videos and uploads them to YouTube, Facebook and other social media channels. Try Repurpose.io for free today and start growing your audience faster. Try it for free here at https://repurpose.io/ipd & save… an additional 20% on our yearly plans with discount code IPD.